With 10 races gone and nine remaining in the 2013 season, Kimi Raikkonen is Sebastian Vettel’s closest challenger, albeit a seemingly vast 38 points behind. Whilst I must confess that I didn't expect Kimi to be in the top two at this stage of the season and would be surprised if he remains ahead of either Fernando Alonso or Lewis Hamilton by the season’s end, I’m pleased that he is. Raikkonen is a welcome breath of fresh air to a sport seemingly overpopulated by PR-manufactured robots. The Finn is different. He’s nicknamed the "Ice Man" because of his chilled persona and relaxed attitude that has seen him asleep in the garage only minutes before the start of a race. He also isn't afraid to say what he thinks from his now famous radio exchange to his engineer in Abu Dhabi last year to saying that someone should "punch Sergio Perez in the face" after the McLaren driver crashed into him at Monaco this year as quoted in BBC Sport. Just type Kimi Raikkonen into YouTube and you’ll get a number of amusing clips ranging from drunken antics on boats to being kidnapped into signing a contract and his latest Renault advert where he’s hanging out on a beach with no idea as to why he’s there apart from the fact that’s where his car took him. His fascinating personality aside, the Finn is also quick. And importantly this season, in the James Allison masterminded Lotus E2,1 he also has a car that suits his driving style and the chassis seems to be better suited to manage the Pirelli’s high rates of degradation better than many of its rivals. Raikkonen got off to the best possible start in Australia, making one less stop than his rivals en route to a comfortable victory. If Australia was a welcome surprise, Malaysia was a reality check as Raikkonen was slapped with a three-place grid penalty for impeding Nico Rosberg in qualifying before losing part of his front wing at the start of the race. The Finn eventually finishing seventh. He qualified second in China, and despite losing places at the start and suffering damage in an early contact with Perez, his race pace remained strong and he made his final stop earlier than Lewis Hamilton before dialing in a couple of quick laps to put him second—which is where he stayed. 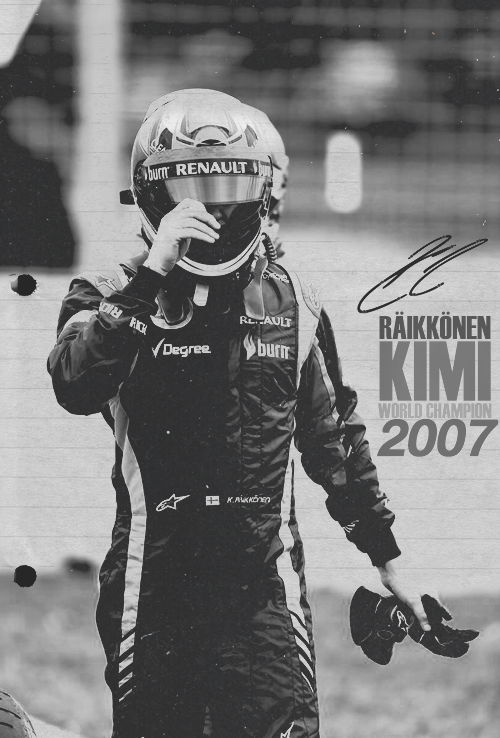 Kimi Raikkonen is a superb grand prix driver and a very worthy member of the 32-man club of world champions. In fact, he probably should have at least one more crown to his name from the McLaren era. He is also arguably the most popular driver on the grid. But there are some puzzling contradictions in Raikkonen's unique and beloved brand of anti-charisma. He is not an infinitely-quotable soundbite machine, nor is he a champion of fan interactivity as one of the few remaining Twitter hold-outs in F1. But what he does offer is the impression of authenticity. Many, perhaps most, do not have an affinity for monotonous excellence. Today, another Sebastian Vettel victory is often greeted with a yawn and a dismissive wave of the hand. Yet the German is a remarkable driver, who combines speed with a commendable work ethic and an affable character that has been subsumed by an absurd caricature of him as some kind of evil genius. 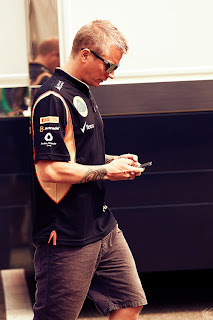 Raikkonen is very different. While Vettel leaves no stone unturned and is well-liked in his team for his attention to detail - every detail - Raikkonen is more selective in his efforts. Wrongly regarded as laziness by some, it's more a question of the uncluttered and focused approach that he needs to get the best out of himself. He's the same in interviews with the media. Personally, I have always found Raikkonen to be perfectly willing and able to offer detailed answers to questions. But ask leading questions, or repeat the same ones, and he perfectly legitimately gives you short-shrift. Then again, there are also days when he does live up to his trademark for being monosyllabic (in Brazil last year, he answered his phone during a media briefing... there was no one on the other end). But Raikkonen's persona means he gets away with things. Take the famously blunt radio messages in Abu Dhabi last year. As Lotus trackside operations director Alan Permane explains here, under the safety car Raikkonen's tyre temperatures had dropped. Had, say, Paul di Resta offered that response, he would have been condemned as rude rather than praised for being straight talking.But that is the advantage of having a persona like Raikkonen's. Everything you do is seen through the prism of his personality. I once asked Raikkonen about his popularity with the fans. He gave a typical answer. "I don't know, you'll have to ask them," he said. "I'd rather do my thing as best I can and then it sometimes works and sometimes not. As long as I'm happy, that's the main thing for me - I don't try to please other people. "There is no point in doing things to try and please everybody else and not be happy yourself. If people like it, good, but there are a lot of people who don't like it and that is fair enough. "I'm not here to please people, I'm here to do my own thing and be happy and hopefully get some good results. That's the most important thing." Superficially, it's not an especially illuminating response. But it can be summed up simply. 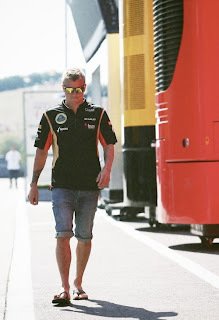 Raikkonen is a driver who both does what he wants and gives the impression that he does what he wants. If he wants to get involved with gorilla-suited speedboat antics, he will do so. He is, in short, fun. Raikkonen is often said to be a man out of his time. A 1970s throwback to the days of James Hunt, a man whose helmet colours he carried at last year's Monaco Grand Prix and whose name has been used as a pseudonym by the Finn. Yet send him back in time 40 years as is and he would likely be regarded as one of the more boring drivers (although, clearly, he would be able to be more open about his philosophy of life and therefore a different proposition). The bottom line is that the most engaging aspect of Raikkonen for many people is the sense of mystery. 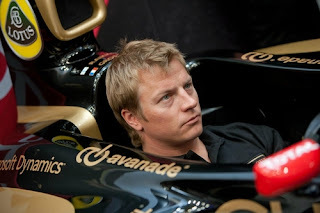 The great contradiction about Raikkonen is that he is seen as his own man yet has as powerful a PR shield as any driver. Speak to those who know and work closely with him and they will tell you about a charismatic, garrulous individual.But the fact is that the man and myth are very different propositions. Raikkonen's popularity is rooted in his enigma. You can transpose your own expectations to create a 'Real Raikkonen' in your mind who is likely every bit as fictional as the one seen in public. At the root of it is the trend to rail against modern sport. Personally, I've always enjoyed seeing the sporting bar raised. The pursuit of incremental gains by finely-honed athletes and teams in the sports science era is fascinating. The pursuit of incremental gains to find those extra fractions of a per cent that can make you unbeatable leaves many cold. Raikkonen is the anti-science driver. He keeps it simple, old-school. It's the way many people would like to live their lives. 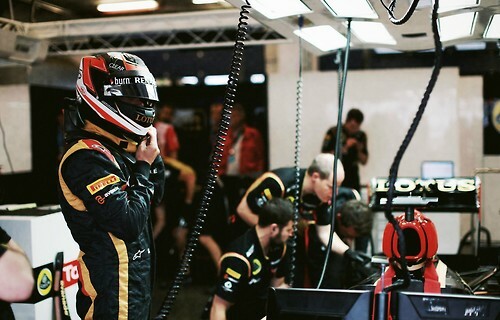 To Lotus's credit, it has worked very hard to give Raikkonen the environment and schedule that suits him. It has even made a virtue of his public persona. 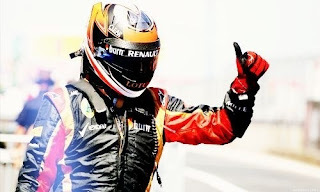 Just look at the recent Renault Megane advert, in which Raikkonen utters a grand total of seven words, four of them 'no'.What can Formula 1 learn from him? The most important thing to realise is that sport, no matter how seriously you take it, is to a certain extent theatre. F1 has to retain its popularity to maintain its incredible standards of cutting edge technology. With the drivers now quite rightly shrouded in protective cocoons and even helmet liveries no longer as distinctive as they once were, grand prix racing can come across as very cold. 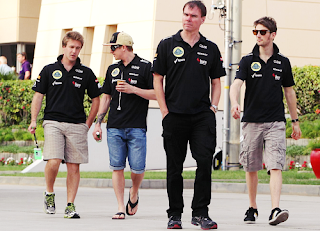 Raikkonen is the exception. Ironically for a someone known as 'Iceman' he offers the promise of a warm heart at the centre of a technological sport. That's what makes him so popular.The extent to which drivers are corralled into saying little by PRs is overstated. There are precious few times when any PR personnel have interjected or tried to stop questions being asked (usually only related to legal issues). Usually, nothing is off limits. But the drivers self-regulate, wary about saying the wrong thing. Universally, they have far stronger opinions and more interesting things to say when you speak to them in private. Raikkonen has tackled this by saying nothing, but in a way that leaves the fans to draw their own conclusions from the odd glimpses of him in a more relaxed frame of mind. He is, in short, human.He is popular because he is the exception. That, and he is a superb driver who is as good as anyone in a race situation even though, by his own admission, he does not always extract the absolute maximum, that last tenth or two, in qualifying. That is not a major criticism, for you could say a similar thing about Fernando Alonso, who is very quick on Saturday but his real strengths shine through in race situations. His non-political approach is also well-regarded. Unfortunately, playing politics can work both ways. It's not only about a ruthless pursuit of primacy in a team, but also a defence mechanism to ensure your own position is not compromised. Perhaps a 10 per cent more politically active Raikkonen would be an even more successful one? Raikkonen has been a valuable addition to the sport since he returned. There was justifiable scepticism when he chose to came back, particularly with a Lotus team that had struggled during the previous season. But his class has shone through and he is a worthy addition to F1's top table. So what if he is not entirely compatible with the pursuit of incremental gains that makes the likes of Vettel so successful? He is still one of the classiest drivers on the grid and a privilege to watch.He is what he is. That is what allows him to be, to everyone else, exactly what they want him to be. Formula One’s mind-blowing numbers game is a mounting puzzle and concern for cash-strapped teams in danger of being swallowed up in enough debt to sink them without trace. As moves are afoot to increase the number of races from 19 to 20 and perhaps 21, there are no such worries for the mega-wealthy big three teams of Ferrari, Red Bull and Mercedes-Benz. At least, not that they would let on. Not so Lotus. They are the season’s surprise package with comeback champion Kimi Raikkonen lifting them to third place in the championship, but that has not isolated them from a monetary freefall. And if it can happen to high-fliers like them, what hope for the also-rans Caterham and Marussia? Lotus team boss Eric Boullier has fired the opening salvo of warning shots amid suspicions that they are in dire financial straits. So much so I heard whispers that they were late in paying Kimi Raikkonen. And that really is a serious matter. But not only was their star turn forced to hang on for his take-home, the suppliers and the race personnel, I hear, all suffered delays in salary pay-outs. Frenchman Boullier, who could well yet mastermind a second title for Finland’s Raikkonen with half the season still to go, has to cope with a rumoured debt of $160 million (Dh587.53 million). He urges a brake on outlay and, like most of his rival team bosses, would not encourage a costly increase in the number of races. “To keep teams competitive,” he argues, “we need to keep a minimum budget with our resources. “Don’t forget in the beginning of the 90s a top team would spend maybe £40 million [Dh227.03 million] — but nowadays it is upwards of £100 million. We have to put down that cost. “I don’t think it is fair if only three teams, Red Bull, Ferrari and Mercedes, can still afford to invest in the old way and can spend a lot on the car. 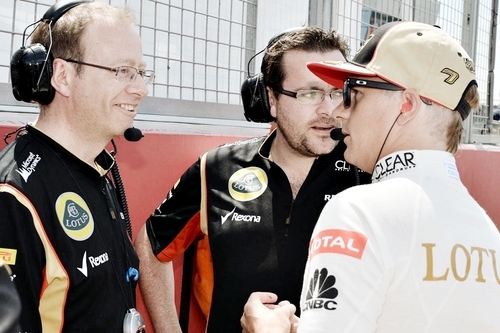 We can’t do that,” Boullier says. Formula One’s shopping list, with teams like Ferrari forking out $470 million a season, goes like this: the race car shell costs $125 million, engines, with about 10 used a season, cost $130 million; testing takes up $15 million; a top-paid driver like Ferrari’s Fernando Alonso earns $47 million; and the hospitality bill is $15 million. So what comes back? Prize money works out like this: the champions earn $47 million; runners-up $40 million; third-placed $32.5 million... with $10 million for tenth place. Boullier revealed the team’s money flow could be restarted without a hitch, with an incoming new partner expected in the next couple of weeks. Whether, in the light of recent salary setbacks, Raikkonen, a target for Red Bull and Ferrari, is prepared to risk another pay freeze and opts to stay put, is a poser intriguing me and all of Formula One. Kimi Raikkonen says second places will not be enough for him to close the gap to Sebastian Vettel in the drivers' championship. With Lewis Hamilton winning the Hungarian Grand Prix before the mid-season break, Raikkonen finished second ahead of Vettel but only managed to close the gap in the standings by three points. Ahead of returning to racing next weekend at Spa, Raikkonen said he would need victories to close the 38-point deficit by the end of the season. 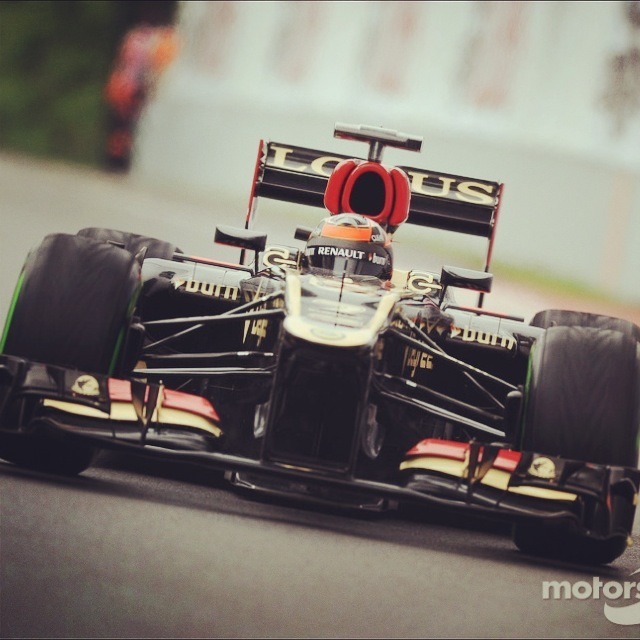 "I am now back in second which was a good way to enter the summer break," Raikkonen said. "I finished ahead of Seb [Vettel] in Hungary so obviously scored more points than him there. To beat him, we need to be winning races and if we keep finishing second like we've done many times this year it's probably not going to be enough for the championship, but you never know what might happen." Raikkonen added that his main focus has to be to improve his qualifying performances in order to give himself a better chance of victory. "Obviously I keep making my life difficult on Saturdays in qualifying so then we pay a price, but we still have a good car in the race. Now we have tyres that are a little bit different we have to understand exactly how to use them. We made progress in Budapest so it should be easier in Spa, but that will be the same for everyone. To win, it's always better to be starting near the front." Lotus trackside operations director Alan Permane expects the team to make a further step forward at the Belgian Grand Prix. Both Kimi Raikkonen and Romain Grosjean have been very competitive in recent races, with Raikkonen finishing second in both Germany and Hungary. 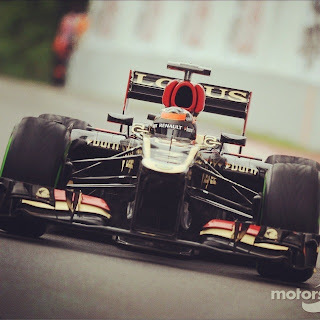 Despite the mid-season break including a mandatory factory shutdown, Permane said Lotus would have updates in Spa which should improve the pace of the E21. "Although we have had a decent gap of four weeks between races, two of those are eliminated by the enforced factory shutdown," Permane said. "This still leaves two weeks of course; a period of time sufficient to bring a few new parts to the table as we would normally do in such a gap. "The advantage we have with Spa being so close geographically is that we can be working on the cars back at Enstone right up until the Tuesday night before the race, and still have sufficient time to get them to the circuit ready for work on Thursday morning. We've got several updates coming up - both mechanical and aerodynamic - so we're confident of making another step forward." 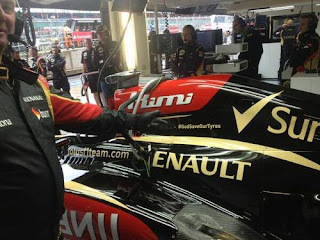 With Lotus having raced its Drag Reduction Device (DRD) at Silverstone, Permane agreed it would be suited to Spa too. "Absolutely. We haven't made a final decision yet as to whether it will be deployed, but we've been conducting a lot of simulation work with the concept to help clarify that decision and there's a good chance we'll see it make an appearance." The Finn re-took second in the drivers' championship from Fernando Alonso with his sixth podium finish of the season in the Hungarian Grand Prix, finishing ahead of Vettel to close the German's points lead to 38. While Raikkonen said he was pleased to be back in second in the standings, he also stressed the importance of adding to his victory in the season-opening Australian Grand Prix is he is to fight Vettel for the title. "I am now back in second which was a good way to enter the summer break," said Raikkonen, who has finished second five times this year. "I finished ahead of Seb in Hungary. To beat him [in the championship], we need to be winning races. "If we keep finishing second like we've done many times this year it's probably not going to be enough, but you never know what might happen." Raikkonen added that he needs to up his game in qualifying if he is to start turning podium finishes into victories. "Well, obviously I keep making my life difficult on Saturdays in qualifying so then we pay a price," he said. "But we still have a good car in the race. Now we have tyres that are a little bit different we have to understand exactly how to use them. "We made progress in Budapest so it should be easier in Spa, but that will be the same for everyone. "To win, it's always better to be starting near the front. "So much depends on the qualifying result, so we need to find a decent set-up on Friday and Saturday and have a solid qualifying session." 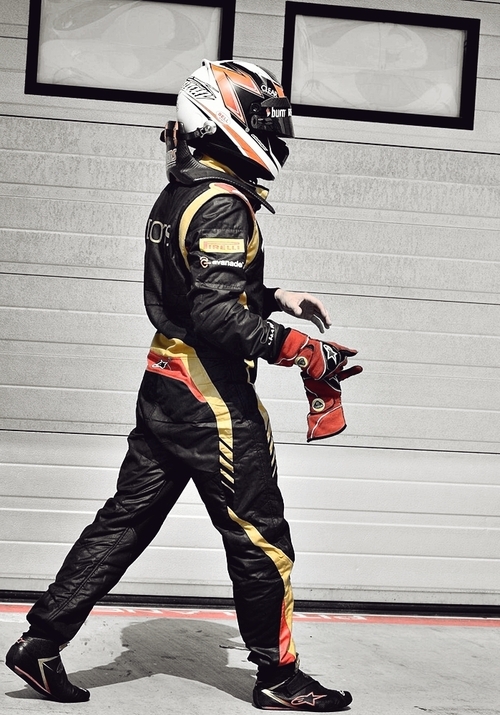 Kimi Raikkonen and Spa-Francorchamps enjoy a solid, healthy relationship. The Finn’s won there four times – most recently in 2009 over Force India’s Giancarlo Fisichella – but knows he and the team need to make strides on Saturday in order to have a chance at next weekend’s Belgian Grand Prix. Additionally, the Lotus team has yet to make a decision on whether to use its “double DRS” or Drag Reduction Device this race, according to F1 Fanatic and trackside operations director Alan Permane. 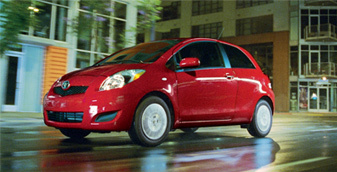 It understandably aids the car on long straights but hinders in the corners in the fight for mechanical grip. Still, Raikkonen’s one of the most experienced at Spa and praises the challenge it presents, especially in an era of watered-down, sanitized circuits that have popped up with increased frequency on the Formula One calendar. You were second in Budapest before the summer break; how good would it be to go one step better at Spa? Usually I've achieved a good result at the Belgian Grand Prix, but what has happened there before doesn't help me right now. Of course, it doesn't cause any harm either and it would be great to win at Spa for a fifth time. Extra points are always good and if you win the race no-one scores more points than you. How has your history been at the circuit? For me there have only been good memories from Spa and it's great to go racing there. You can't get the same kind of a feeling anywhere else. It's great to race with a modern racing car at a proper circuit which has such a great tradition. What are the challenges of the track and should it suit the strengths of the E21? Spa offers very challenging high-speed corners and you need to get the right set-up for the car. As we've seen so many times this year, a good grid position is extremely important. It will be very decisive at Spa too, even though it is maybe easier to overtake there than at some other tracks. It's crucial to have a good car aerodynamically to tackle the fast corners and it's a long lap, so to get the right time you really need to maintain the best rhythm. So much depends on the qualifying result, so we need to find a decent set-up on Friday and Saturday and have a solid qualifying session on Saturday afternoon. I don't know how it will suit our car this year. Last year we were not very strong there. I think we know the reasons and for sure our car is better this year, but is it good enough to be fighting for a win? We will see on Sunday. Why has Spa been so good to you in the past? Sometimes there are certain circuits where everything seems to run smoothly, and then there are other circuits where I have no luck at all. Of course, we will do our very best to win this race. I have been on the top step of the podium a few times at Spa and I want to be there again. Does this make Spa one of your favourite tracks? I bet every driver likes Spa. For me it is the greatest racing circuit in the world. It is my favourite place. I have liked the place since my first ever visit there in 2000 with Formula Renault. How are you feeling about your championship position? I am now back in second which was a good way to enter the summer break. I finished ahead of Seb [Vettel] in Hungary so obviously scored more points than him there. To beat him, we need to be winning races and if we keep finishing second like we've done many times this year it's probably not going to be enough for the championship, but you never know what might happen. Well, obviously I keep making my life difficult on Saturdays in qualifying so then we pay a price, but we still have a good car in the race. Now we have tyres that are a little bit different we have to understand exactly how to use them. We made progress in Budapest so it should be easier in Spa, but that will be the same for everyone. To win, it's always better to be starting near the front. Kimi Raikkonen insists that he has to start winning races if he wants to stand any chance of beating Sebastian Vettel to the F1 title. The Lotus man goes into the Belgian Grand Prix next weekend sitting second in the standings to defending champion Sebastian Vettel, but is 38 points down on the Red Bull man ahead of the Spa race. So far, Raikkonen has taken just as single win this season in Australia, and he insisted he would have to start adding to that tally if he wanted to take the title for a second time. The Finn added that he was aware of where he needed to improve in an effort to try and beat Vettel on a regular basis. Raikkonen's first chance to add to his win tally will come at a circuit where he has enjoyed plenty of success in the past, with four wins to his name in years gone by. After two strong second place finishes in Germany and Hungary, Kimi Raikkonen reclaimed the number two position in the World Championship but is still 38 points adrift of leader Sebastian Vettel. With nine more races to go this season, the championship battle is heating up, with Sebastien Vettel, Raikkonen and Fernando Alonso - the top three- battling and Hamilton chasing in fourth. The Iceman, who held off a late surge from Vettel in Hungary, has been a strong Championship contender again this year, winning the first GP of the season. But some slow development by the Lotus Team had seen him slip to third before Germany and Hungary. He is now one point ahead of career-long rival Fernando Alonso in third. 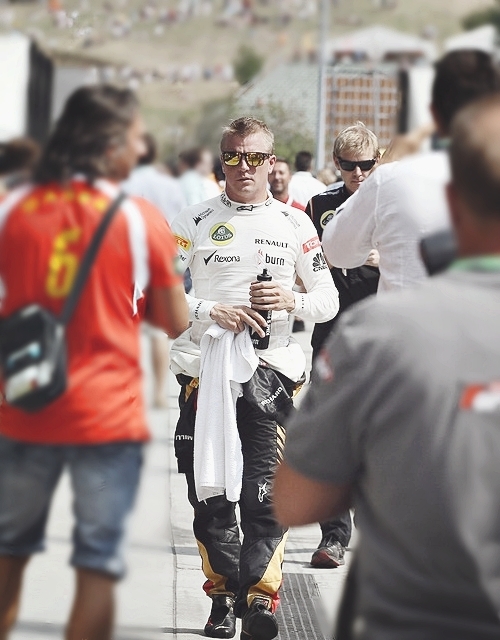 Speaking to ESPN, Raikkonen said:"I am now back in second which was a good way to enter the summer break. I finished ahead of Seb in Hungary so obviously scored more points than him there. "To beat him, we need to be winning races and if we keep finishing second like we've done many times this year it's probably not going to be enough for the championship, but you never know what might happen." Raikonnen also acknowledged his recent qualifying woes. "Obviously I keep making my life difficult on Saturdays in qualifying so then we pay a price, but we still have a good car in the race," he continued. "Now we have tyres that are a little bit different we have to understand exactly how to use them. We made progress in Budapest so it should be easier in Spa, but that will be the same for everyone. To win, it's always better to be starting near the front." 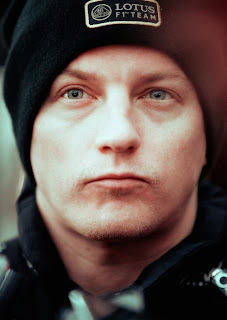 The Iceman was last on pole in France 2008 with Ferrari, but since then for two seasons (2009 and 2012) he has gone without starting from the front. Despite his starting position though, Raikkonen has displayed strong race pace and overtaking capacity throughout, climbing up numerous places in Hungary to keep him in the hunt. With the second half of the season resuming in Spa - a track Raikkonen relishes- next week, he'll be looking to further reduce the gap between him and Vettel. The Iceman has won in Spa four times and was third on the podium last year. 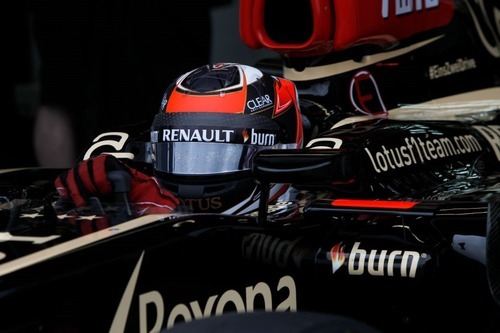 Lotus driver Kimi Raikkonen completed an official GP3 test in a GP3/13 car the Circuit de Catalunya on Friday. The Finn was tasked with testing how the car responded to different tyre compounds as part of a technical development programme to increase overtaking in the series. The 2007 World Champion completed 58 laps with a best time of 1:34.780 - that would have been good enough for third on the grid when GP3 visited the circuit in May. "I wanted to test the GP3/13 because my friend Afa Heikkinen has a team [Koiranen GP] in this Series and I have been closely following their progress and results since the beginning of the season," Raikkonen said. "I was curious to see how the car handled and it was actually fun to drive. There were a few issues regarding its behaviour, but we managed to solve most of them. "The GP3/13 is a very good tool for young drivers, especially when you have to learn about tyre management like we have in F1." GP3 Series Technical Director Didier Perrin was delighted to have the chance work on the development of the car with such an experienced driver. 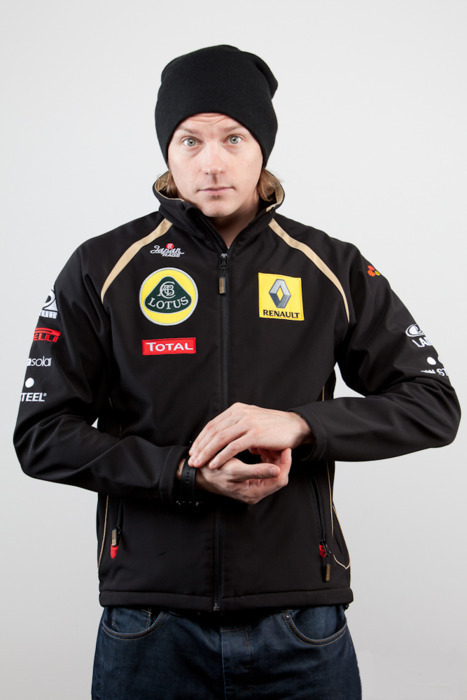 "We are extremely pleased to have had the opportunity to work with Kimi today," he said. "His experience and feedback were invaluable and they gave us a better understanding of what needs to be done in order to make our car a better tool in overtaking opportunities for next season. "He has confirmed all our hypothesis, and together we could start working on two development directions for the end of season testing. 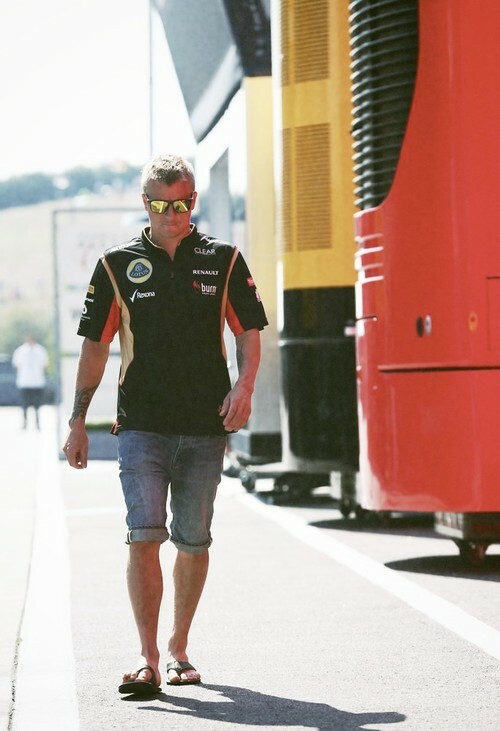 We would like to thank Kimi for testing with us today and Koiranen GP for helping make this possible." Kimi Raikkonen believes the consistency that has taken him to second in the Formula 1 standings will not be enough to fight Sebastian Vettel for the world championship. Kimi Raikkonen, Lotus"We made progress in Budapest so it should be easier in Spa, but that will be the same for everyone. Niki Lauda has dismissed suggestions Fernando Alonso is a real candidate to race alongside Sebastian Vettel at Red Bull next year. "He (Alonso) would only bring trouble to the team," Lauda, Mercedes' team chairman and the outspoken former triple world champion, told Auto Motor und Sport. So, he tipped the reigning title winners to choose between two more realistic candidates to succeed the Le Mans-bound Mark Webber. "With probably four world championships in Vettel, Red Bull has the luxury to weigh in peace the benefits of Raikkonen or Ricciardo," Lauda told the German magazine. "One is the better solution in the short term, the other in the long term. In the end they can take a risk. But not Ferrari." Indeed, Lauda apparently sees sense in the latest rumours linking 2007 world champion Kimi Raikkonen with a Ferrari return. "If Raikkonen doesn't go to Red Bull, then Ferrari should try to get him on board," he said. "For a counterweight to Alonso. "After six years without a title, Ferrari is under great pressure," added Lauda. Kimi Raikkonen got back on track a week ahead of his Formula One rivals when he completed 270km of testing in a GP3 car at Barcelona's Circuit de Catalunya on Friday. Formula One, which ends an August shutdown at the Belgian Grand Prix next week, bans regular testing during the season but drivers can clock up as many miles as they want in cars used in other series. 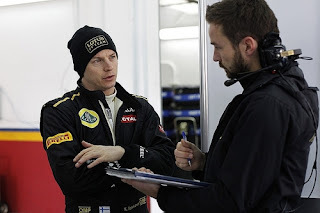 Raikkonen, the 2007 world champion who is currently second in the standings for Lotus after 10 of 19 races, took part in the official GP3 test to help his friend Afa Heikkinen, who manages the Koiranen GP team. GP3 is a rung below GP2, the recognized feeder series for Formula One, and the test was aimed at collecting data to improve the cars and allow more overtaking next season. "I was curious to see how the car handled and it was actually fun to drive," Raikkonen told the official GP3 website (www.gp3series.com) after completing 58 laps - nearly an F1 race distance. "The GP3/13 (car) is a very good tool for young drivers, especially when you have to learn about tire management like we have in F1." GP3 cars, with no power steering and engines producing a mere 400bhp, are a long way from Formula One but the track time will have helped the Finn limber up for Spa-Francorchamps. Raikkonen, winner of the season-opener in Australia and now 38 points behind Red Bull's triple champion Sebastian Vettel, will be one of the favorites in Belgium after winning there four times previously. "For me it is the greatest racing circuit in the world. It is my favorite place. I have liked the place since my first ever visit there in 2000 with Formula Renault," he said in a Lotus preview for the race. "I don't know how it will suit our car this year. Last year we were not very strong there. I think we know the reasons and for sure our car is better this year," added the Finn, who will be chasing his 28th successive points finish. Kimi Räikkönen took second place at the Hungaroring to jump back into second in the Drivers’ Championship after a hot and hard-fought Hungarian Grand Prix. Kimi used a two-stop strategy for his sixth podium of the season, spurring the advances of Sebastian Vettel in the final laps. 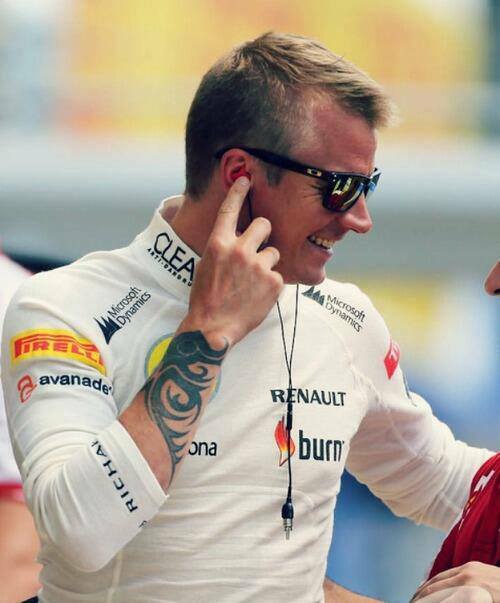 Kimi is now second in the Drivers’ Championship with 134 points to Sebastian’s 172. The team was the second highest scoring in the Constructors’ Championship today, remaining in fourth place on 183 points, but closing the gap to Ferrari on 194. 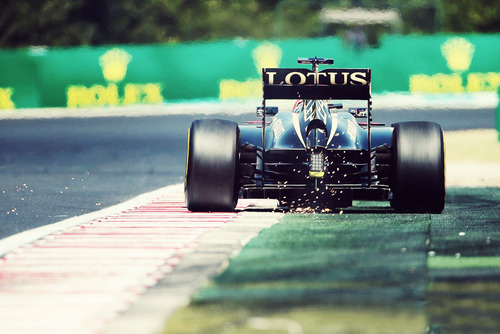 - Kimi started from P6 with a scrubbed set of soft tyres, changing to new medium compound tyres on laps 13 and 42. Lotus' Kimi Raikkonen insists he can still win the Drivers' Championship even if he fails to beat Sebastian Vettel on Sunday. Red Bull's Vettel is the current championship leader with 157 points, with Raikkonen 41 points adrift of the German in third place. Fernando Alonso is in second spot with 123 points on the board and earlier this week the Spaniard said he felt beating Vettel in Hungary was crucial to his chances of taking the top prize, but Raikkonen doesn't agree with the Ferrari star. "[Beating Vettel] is what we aim for in every race; it doesn't matter if it's now or at the beginning of the year or after the break," Raikkonen is quoted as saying by ESPN. "If we cannot do it we cannot do it, we always try to do the best we can and hopefully we improve and get closer, but there's still half of the season to go so anything can happen." 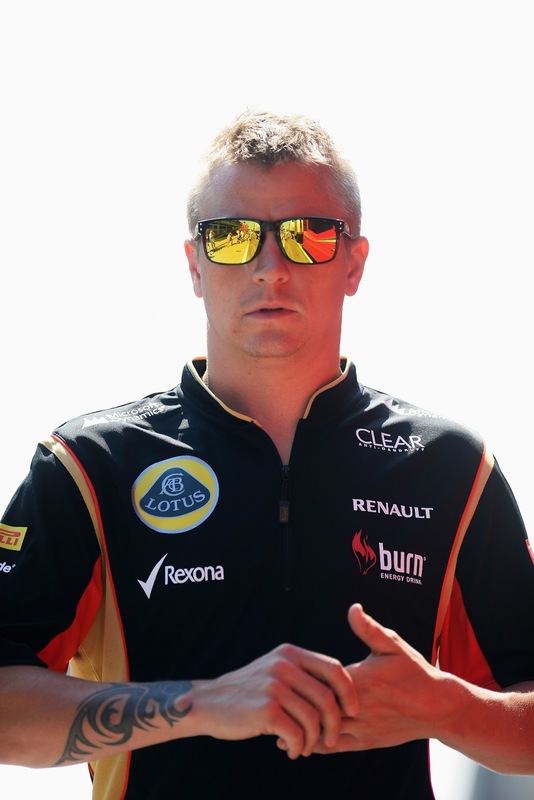 Kimi Raikkonen says he will employ gut instinct to decide whose car he will be driving in 2014. 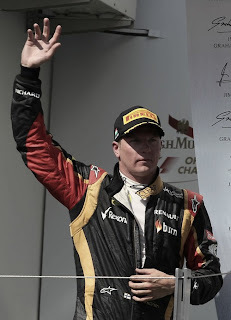 Raikkonen, the 2007 champion, is the favourite to replace Mark Webber at Red Bull next year, in front of the Toro Rosso driver Daniel Ricciardo. "There is going to be the overall package and whatever feels right for me," he said. "Whatever the decision will be might feel stupid to somebody else, it might just feel right for me. "I have no idea what will happen, we have to wait and see what will come, but hopefully whatever it will be it will be the right choice. "Basically everything has to feel right. In the end it comes down to whatever I think is the right one. There will be no guarantee the choice will be a good one in the long run but I am fine with whatever the outcome will be. You live with your choices." Red Bull's team principal, Christian Horner, says he will choose Webber's replacement before the end of August. "We are homing in on our position and we will take the summer break to reflect on it and make a decision after that," he said. The Formula One world is hanging on the protagonists' every word, as Red Bull nears a decision about who will replace Mark Webber in 2014. Rumours in the Hungaroring paddock swirled that a contract is being prepared with Daniel Ricciardo's name on it, but the young Australian insisted: "I haven't seen one!" The time, however, is looming. "Usually there's two or three press guys turning up for my media sessions, today it was more like 20 or 30," the Toro Rosso driver said in Hungary. Their wait continues for now, but it will end soon. In Budapest, the last race before a four-week break in the calendar, Red Bull team boss Christian Horner revealed: "We'll take probably the summer break to reflect. "Then it (the decision) is going to be Spa or Monza but it's not going to be later than that I don't think." Ricciardo's Toro Rosso teammate Jean-Eric Vergne was once considered in the running for the plum seat next to Sebastian Vettel, but Horner admitted it is now definitely a two-horse race. As the speculation increases about who will replace Mark Webber at Red Bull next season, former champion Kimi Raikkonen remains unsure if he will stay at Lotus. Webber announced last month that he is quitting Formula One at the end of the season to race sports cars for German manufacturer Porsche, and there has been a guessing game since over which driver Red Bull will pick to compete alongside three-time defending champion Sebastian Vettel. The 33-year-old Raikkonen is one of the favorites, and the 2007 F1 champion has yet to commit his future to Lotus. "There's not really one (factor). It's going to be the overall package and whatever feels right for me," he said Thursday ahead of this weekend's Hungarian Grand Prix. "Whatever decision it will be might feel stupid for somebody else but it might just feel right for me. I have no idea what will happen, we will have to wait and see." Australian driver Daniel Ricciardo and Jean-Eric Vergne of France both race for Toro Rosso - Red Bull's sister team - and are reportedly among the contenders. Raikkonen's decision with Lotus may hinge on how competitive he thinks the team is going to be next season, when car changes will impact the sport. "It's a combination of things, it has to be right on racing, outside of racing, basically everything just has to feel right," he said. "There is no guarantee the choice will be the good one in the long run ... You live with the choices." The 2014 regulations will set the sport's engineers the challenge of completing a 300-kilometer race distance on a fuel load of just 100 kg. To do so, teams will switch from naturally aspirated 2.4-liter V8 engines to 1.6-liter V6 turbocharged hybrid Power Units. "Obviously you can't have any guarantee what will happen next year with any teams and any cars," Raikkonen said. "One engine manufacturer gets it right. (So) it might be a long season for some teams and an easy one for others." Raikkonen is one of the most reclusive, softly-spoken drivers in F1. He was asked how he would cope with the extra media demands should he join the most powerful team in F1 - and the Finn answered that question as coolly and dispassionately as he does most others. "I've been in most of the top teams and I know exactly how it goes," he said. Whatever team Raikkonen chooses, Lewis Hamilton - who succeeded him as F1 champion - expects the same challenge. Red Bull Racing are expecting to announce their plans for their second driver in 2014 alongside Sebastian Vettel after the August summer break, with team principal Christian Horner confirming that the choice is now essentially between Kimi Raikkonen and Daniel Ricciardo. 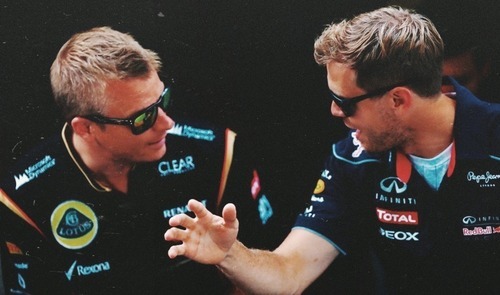 "We want the two fastest and strongest drivers that we can put in the car for next year. 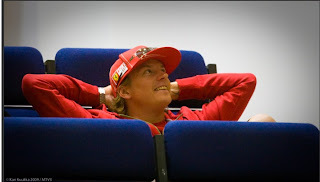 I think both Daniel and Kimi would represent extremely good options," Horner said in Hungary on Thursday. "There's been some interesting applicants over the last few weeks but fundamentally we're still looking at the same drivers." Ricciardo worked with Red Bull during last week's Young Driver Test at Silverstone and clearly impressed the team: "Daniel, what he has demonstrated so far, has been very positive," agreed Horner, while adding that he felt it was too soon to consider Ricciardo's current Toro Rosso team mate Jean-Eric Vergne. "I think he [Vergne] deserves a seat in F1 and should he not be successful with the Red Bull seat then it would make logical sense for him to continue at Toro Rosso," said Horner. "I think at this stage it's probably too early for him, which is why we chose to look at Daniel." But if anything, it's Raikkonen who seems to be the front-runner to replace Mark Webber in the world championship winning team next season. 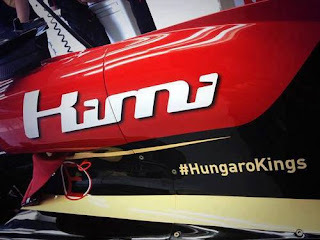 "Kimi's qualities speak for themselves," agreed Horner. "He has a proven track record. 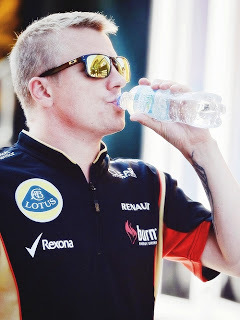 You can't question Kimi's credentials." The one potential stumbling point in hiring Raikkonen might be the expected salary demands from the 2007 world champion, reputed to be one of the highest-paid drivers on the grid since he returned to F1 with Lotus after a two-year hiatus from the sport in 2010 and 2011. But Horner said that money was not an option and that for him securing "the two fastest and strongest drivers that we can put in the car for next year" was the most important element in making the decision over Webber's replacement. "Of course, finances are always a factor," said Horner in Hungary, before going on to explain that the money the team could make by ensuring they finish as high up in the constructor championship more than justified the expense of paying a higher driver salary. "The difference between first and second or second and third and fourth is a significant amount in the constructors' world championship," he pointed out. "So the financial element of it, if you don't make the right decision, is going to impact you anyway if you are not scoring constructors' points. So that isn't really an element in our decision making." The 33-year-old and Toro Rosso's Daniel Ricciardo are now the only two names in the frame for the seat to be vacated by Mark Webber at the end of the season. Ricciardo's Toro Rosso team-mate Jean-Eric Vergne was initially in the running, but Horner has now claimed it is "too early" in the Frenchman's development for him to be considered. While money is hardly an issue for a team as wealthy as Red Bull, who are backed by billionaire Dietrich Mateschitz, the founder of the energy drinks company, Horner maintains finances play a role. 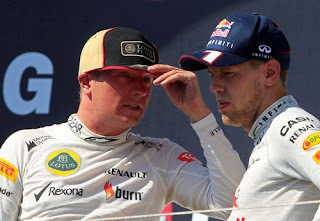 But as far as possibly recruiting Raikkonen is concerned, Horner said: "It is not really an element in our decision-making. "Of course, finances are always a factor. But you can contrast it with the difference between first and second, or second and third or fourth in the constructors' championship, which is a significant amount. "So the financial element, if you don't make the right decision, is going to impact on you anyway if you are not scoring points." 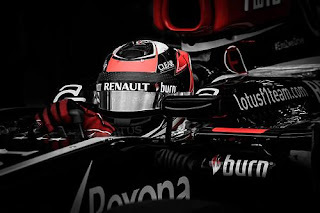 It is where Raikkonen's experience and renowned pace appear to give him the edge over Ricciardo. Horner has reaffirmed a decision will be taken over the forthcoming summer break, after this weekend's Hungarian Grand Prix, and relayed either in Belgium or Italy. 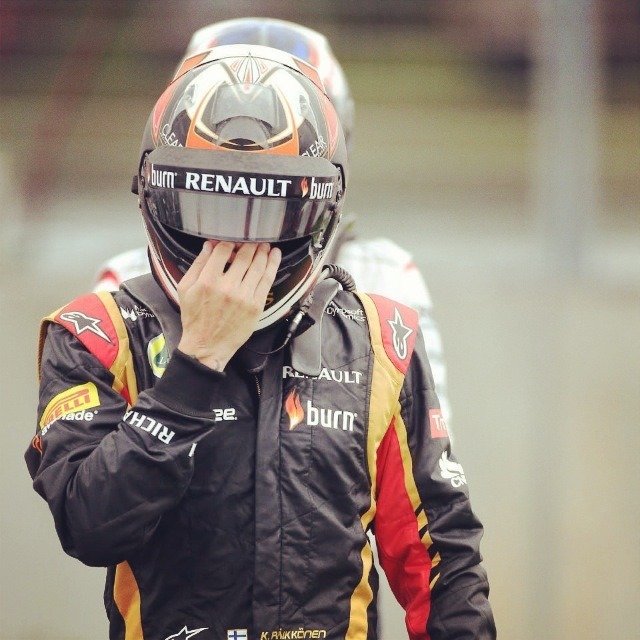 Raikkonen, however, has again suggested he has already received an offer, indicating he has a choice between Red Bull and current team Lotus, who are desperate to retain his services. 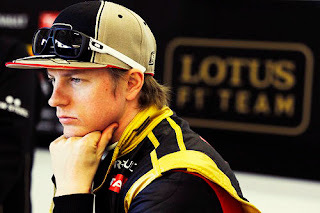 Raikkonen said: "It's about whatever feels right for me, both with regard to the racing and away from racing. Basically everything just has to feel right. "Whatever the decision will be it might feel stupid to somebody else, but then it might feel right for me. "I have no idea what will happen. We will have to wait and see, but hopefully whatever it will be, it will be the right choice." Horner, however, insists Ricciardo has the speed, particularly after impressing during last week's young driver test at Silverstone when he was given half a day in a Red Bull. "Daniel is certainly a very quick racing driver," added Horner. "Part of the challenge of being a driver at Red Bull is that it's not just about being quick - it's about having the ability with regard to feedback to fully converse with the engineers. 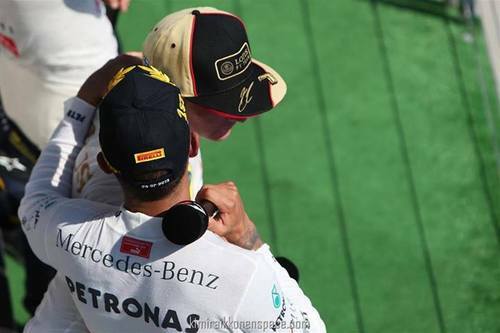 "For any driver to go up against Sebastian, there is inevitably a pressure that will come from being measured against him and you have to be fairly broad-shouldered to deal with that. "So there is an expectation that perhaps isn't there in Daniel's current team. The scrutiny from you guys (the media) isn't there. "The pressure on any driver in a front-running team is always that bit greater, but what Daniel has demonstrated so far has been very positive." Kimi Raikkonen says his qualifying position is a reflection of his struggles with the updated Pirelli tyres at the Hungarian Grand Prix. Pirelli has reverted to the 2012 structure of tyre on a Kevlar belt from Hungary onwards and Raikkonen has been unable to match team-mate Romain Grosjean for much of the weekend. Having qualified sixth - with Grosjean third - Raikkonen said the front tyres were specifically not helping his driving style. "I think it's a combination of the balance with the new tyres - especially the front tyres - they're a bit like last year and they're not as strong as the ones we used to run so not ideal for me," Raikkonen said. "We'll try to work on that but in qualifying the car was not too bad, we should have run a bit more front wing and we should have been up there in the front but we are much more up there now than earlier this weekend … [understeer] is the main issue; it's not a disaster but it's not how we want it." Raikkonen added that he was optimistic of challenging Sebastian Vettel during the race despite starting four places behind his title rival. Kimi Raikkonen was happy to finish ahead of Sebastian Vettel in Hungary, but he feels he could've challenged for the win if he didn't make his own life difficult on the Saturday. 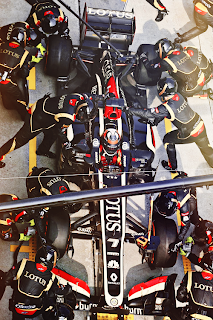 While his Lotus team-mate Romain Grosjean posted the third quickest time in qualifying, Raikkonen struggled with his car and could only manage to start sixth on the grid. Lotus, though, opted for a two-stop strategy and it paid off as he finished second behind race winner Lewis Hamilton while Championship leader Sebastian Vettel was third. A few laps longer and Raikkonen may well have finished behind Vettel as the Red Bull driver was on fresher rubber and was right on his tail. The Finn was relieved to get second place, but he knows they can't continue to make mistakes during qualifying. "I keep making my life difficult on Saturdays so we pay the price [on Sunday]," he said. "I had a good car, we did two stops, it was tight with Seb at the end but we gained some points in the Championship. "I felt the tyres were good at the end but I didn't really have any doubts that I could keep Seb behind me, I had good speed throughout. The team worked well, everything worked well, but unfortunately yesterday wasn't the easiest day otherwise we could have challenged for the win." Car buying is strikingly different than it used to be on so many levels. You can find so many cars and trucks online through search engines, car sales sites, private sellers and other sites that you rarely have to go to the dealership without any information. You can find out the best prices, look at standard features, search for specials and compare all types of models from your home computer. To step up the game, dealerships and car lots really have to make the car buyer more comfortable and informed. They have to provide a lot of convenience, comfort and customer service from the very first moment that they step on the lot. This is the big difference in the way that cars were told 10 years ago compared to today. For example, if you walk into a Toyota dealership, there are a few things that you usually see. For one, every representative is helping someone. There are plenty of places to sit, connect to WiFi, grab a bite or just watch television while you wait for service and maintenance teams or to just relax as someone in your party roams the lot. Other dealerships are following this same model, and they are also including ways to stay connected to the dealership after you leave because car makers have recognized that trusted relationships make loyal customers. When you purchase a vehicle, you have to know that the dealership you select is going to offer a great deal but not deliver a bad vehicle. Picking a dealership requires that you look at reviews, check out their inventory and find a car that truly has a style and class tailored to you. Lotus team boss Eric Boullier has admitted that the Enstone squad is still walking a financial tightrope while it waits for an injection of funds, but he remains optimistic that the situation will sort itself out in time to retain Kimi Raikkonen for 2014. The Finn is a well-publicised target for Red Bull Racing as it looks to replace Mark Webber and suggestions that he has not been paid by his current employer – allied to overt conversations between manager Steve Robertson and senior RBR figures in Hungary – do little to quell speculation that he remains a rival to Daniel Ricciardo when it comes to partnering Sebastien Vettel in 2014. 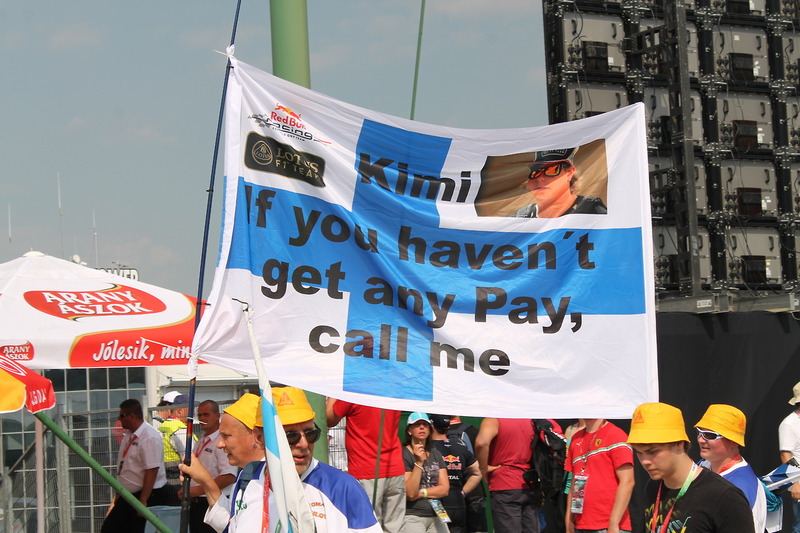 Having admitted that payment was a little late in arriving, Boullier insisted earlier this month that Raikkonen had now received what he was due, but the Finn appeared unwilling to discuss the situation when questioned by Sky Sports at the Hungaroring. 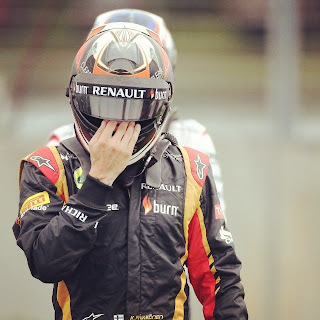 Pressed on the subject of whether ongoing money problems would drive him from Lotus next season, Raikkonen shrugged before claiming that 'there is a certain point where a decision will be made', but refused to be drawn on the finer details of the situation. Red Bull team boss Christian Horner has already said that the Finn's salary would not be an issue for the Milton Keynes operation – hardly surprising given that his reported base wage, at €3m according to Business Book GP, is substantially lower than either Vettel (€12m) or Webber (€10m) – although Raikkonen is understood to be on a substantial performance bonus, which is what hit Lotus hardest last season. 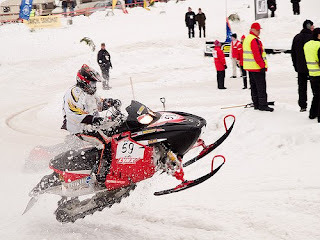 As reported by the French media, Lotus driver Kimi Raikkonen and his ex-wife, winner of the title «Miss Scandinavia 2001″ Jenni Dahlman intend to defend their interests in court during the division of joint property. Recall that the 2007 world champion lived married to Finnish supermodel about nine years. In February of 2013 the couple announced a divorce. In all likelihood Dahlman and Raikkonen failed to reach an agreement on the division of property and in front of them waiting for legal proceedings. It is worth noting that the state Raikkonen is estimated at 120 million euros. Kimi Raikkonen said he was not worried about losing second place to Sebastian Vettel in the closing stages of the Hungarian Grand Prix. Raikkonen fended off Vettel in the final ten laps despite being on tyres 13 laps older than the Red Bulls. Vettel, who had made three pit stops to Raikkonen's two, tried to pass three laps from the end at Turn 4 but was left with nowhere to go and had to take to the run off zone. "I knew it was going to be a bit tight, but the tyres felt good with 10 laps to go and it was only in the last two laps that they dropped off quite badly," Raikkonen explained. "I didn't really have any doubts that I could keep him behind and I had a good speed in the last sector so I knew in the first corner he would not have a chance. "Obviously you take a chance when you make so many laps with one set of tyres, but the team worked well and everything went well for us. Unfortunately yesterday [qualifying] wasn't good for us otherwise we could probably have fought for the win. But second is better than nothing." Raikkonen said improving his qualifying performances would be crucial at future races after starting from sixth on the grid in Hungary. "I keep making my life difficult on Saturdays so then we pay a price," he said. 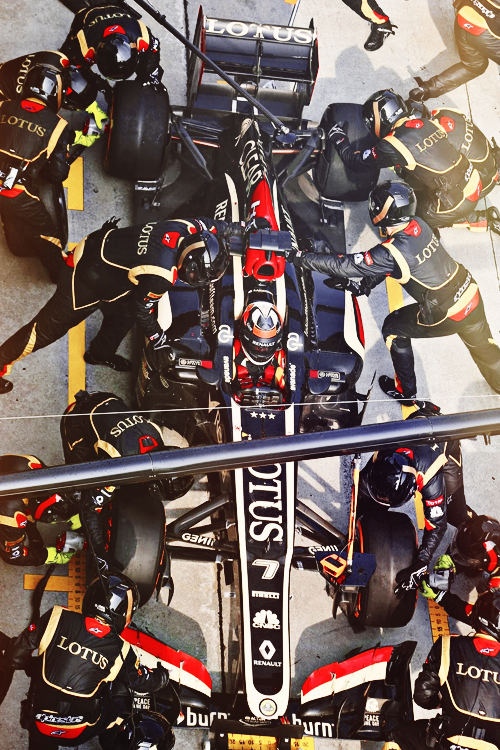 "But I had a good car and we managed to do two stops - that was the only way really to jump people. In the end it was quite close with Seb but it paid off for us and we gained some points in the championship." 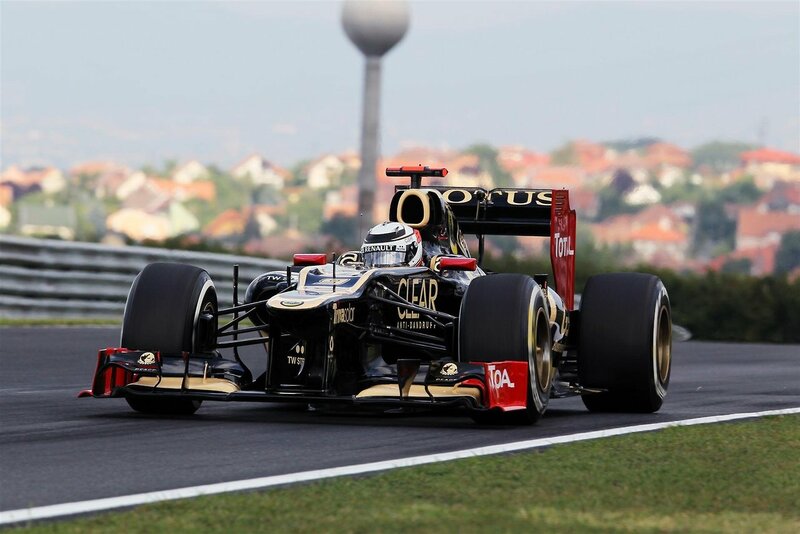 Kimi Räikkönen lines up sixth for tomorrow's Hungarian Grand Prix, after a hot qualifying session at the Hungaroring. Both drivers are one place behind where they qualified here in 2012 which resulted for a 2-3 finish for the team; Kimi coming home just ahead of Romain on that occasion. Kimi Räikkönen, E21-03. Q: P6, 1:19.851. FP3: P11, 1:21.589. "P6 is not ideal, but it's better than we have seen sometimes so we'll try and see what we can do tomorrow"
"From third and sixth we can have a strong race"
Kimi is much more on top of his car than yesterday. From third and sixth there's no reason why we can't have a strong race with him. Who do we see as the main rivals for a good result? We see Sebastian Vettel as our main challenger in the race. The Mercedes did go well in Monaco on a tight and twisty circuit – in the race as well as in qualifying – but here tyre degradation should be more of a factor. This should help us in our fight for a good result. We saw some sideways moments from Kimi in the last corner; any concerns? It happened a couple of times and certainly makes for nice slow motion television. He has complained of the rear sliding which has been something we've focused on eliminating through setup tweaks. Kimi Räikkönen ran third in the morning and eighth in the afternoon after a productive day of running at the Hungaroring. Both cars ran with the team's slimline bodywork configuration and without the ‘Device' for what was both drivers' first taste of the latest medium and soft compound Pirelli tyres. Both cars ran with new mirrors, rear floor updates and exhaust configurations. Pirelli's medium compound tyre was used in the morning, the medium and soft in the afternoon. Cooling levels were monitored closely in the high temperatures. Setup was modified for the latest specification tyres. Soft tyre performance and long run performance were both favourable today, with evident areas for performance gains tomorrow. "We have some areas to improve on with the setup"
"We're happy with all the data we've seen so far"
We had a disappointing qualifying session in Silverstone. Then the weather improved for the race day, and so did our car, as well. It was a race filled with all kind of happenings. We didn't have that many problems with the tyres, but, at the end of the day, we should have tried different strategies for the last laps of the race. It could have been an easy podium finish. Now we lost three positions in the last few laps and got only P5. Sebastian Vettel had to stop because of a technical problem and he was left without any points. That was a good opportunity to come much closer than we managed to do. In Germany the weather in a race day was even better. We had a good weekend overall. The qualifying could have been a couple of tenths better, so we could have been right behind the front row. Now we started forth and then stuck behind Mercedes for a few laps. The race went well. We had the speed to fight for the top place. The problem with the radio was causing problems right while we would have needed it the most. The options between staying on and race until the finish with the used prime tyre was a risky one, but very tempting, as well. We took the other way and changed the option tyre for the last stint. It brought us home in the P2. It's good to finish in a podium, especially in Germany for me, but this time it could have been better, too. We didn't have any issues with the car and with the tyres. The warm weather suits us very well. Let's hope it will be hot in Hungary, too. It's still a long season and there is no reason to start focussing on anything else but winning.